Trig and Tripp, buddies for life. 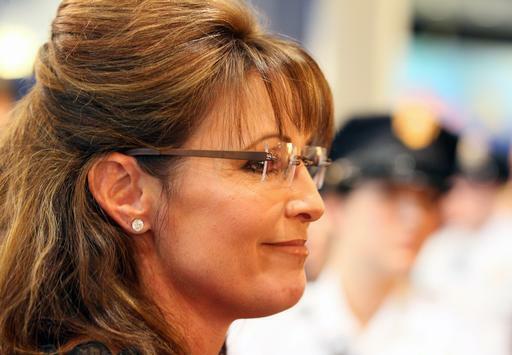 One of the biggest questions that remains unanswered regarding the 2012 election is, Will Sarah Palin run for president? The former Alaska Governor has many speculating about whether or not she will mount a 2012 campaign, but one thing is certain–grassroots movements in support of Palin have grown stronger than ever. Just as Palin has inspired her supporters to turn out and influence the outcome of who is in office, Palin supporters are cranking up the energy to spark a Palin campaign. One of those movements is Youth for Palin, a non-profit organization striving to implement the strong conservative values to our youth just as former Alaskan Governor Sarah Palin has throughout her political career. Elizabeth Hawkes is the co-founder of the group Youth for Palin and she’s written an essay titled, “Why Sarah Palin should run for president” . . . I am a retired civil engineer and a married, born-again, Christian woman. I currently serve as the co-founder of Youth For Palin on Facebook and on the web: mamagrizzlyscubs.com. I reside in Port St. Lucie, Florida with my handsome husband, Gregory. Sarah Palin has stolen my patriotic heart because we both share a love for country and down-home American values and I am pleased to write this essay as a tribute to the next and first female American president. Sarah Palin was thrust onto the world’s stage as America’s foremost political newcomer in 2008 and despite an ever-present glaring spotlight seemingly cutting to the marrow for both her public persona and private affairs, I was drawn to her by simply listening to the truth her words conveyed. She spoke of reducing the size of government, her pride in her country and of fidelity to America’s continued fight for freedom and liberty. Now, more than two years later, Sarah Palin continues the fight by speaking out against government-mandated health care, abortion on demand, gun control that would strip us of our Second Amendment rights, and out-of-control spending in Washington. For me, Sarah Palin embodies strength of character, grace under pressure and dignity that has elevated her above her accusers; only tarnishing themselves in their relentless attempts to malign her professional record and personal integrity. Despite what some in the mainstream media would have us believe, Sarah Palin is a godly, honest woman interested only in reducing big government and restoring our country to the principles on which our great nation was founded. I believe Sarah Palin should run for president of the United States, because she is the only real candidate that both the Tea Party and independent conservative patriots can wholeheartedly support for the 2012 election, thus avoiding the uncomfortable and unjustly compromising position of having to support, without recourse, a second choice and less viable GOP establishment liberal. Sarah Palin possesses not only experience and an untarnished background but, as a legislator, has earned the trust of her constituents in Alaska and all constitutional social conservatives across our great land. Sarah Palin is truly the people’s choice and the only candidate who possesses the qualifications and knowledge to beat an incumbent Democratic president. God bless Sarah Palin and the United States of America.